JAILLOT, A.H./SANSON, N. - Comté de Namur? Comté de Namur? - JAILLOT, A.H./SANSON, N.
Title : Comté de Namur?. Map maker : JAILLOT, A.H./SANSON, N.. Size : 21.8 x 31.7 inches. / 55.4 x 80.5 cm. 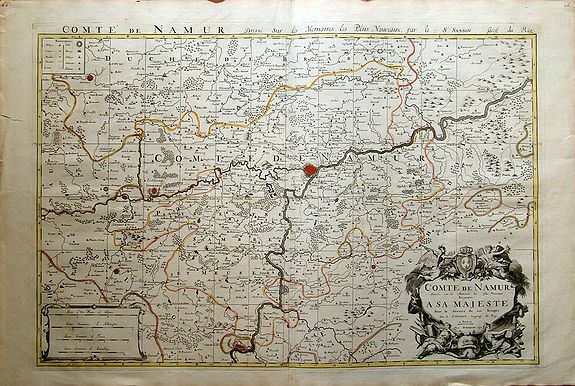 Description :Very fine map of Namur, prepared by Nicolas Sanson and published by Hubert Jaillot. Condition : Nice impression. A small tear and two small burn marks on the margin.